The Post and Courier recently reported on a new digital currency named for actor and comedian Bill Murray, called Murraycoin. According to Murraycoin.org, the altcoin is a descendent of Bitcoin and Litecoin and is a decentralized P2P currency allowing instant payments worldwide. Murraycoin has 100-second transaction confirmations, which is six times faster than Bitcoin, according to the website. In an interview with the Charleston, a South Carolina newspaper, Brock Holzer, a lead programmer behind Murraycoin, said he and others feel the altcoin, which launched in January, has the potential to raise funds for charity, educate people on the advantages on digital currencies, and catch on in the same manner as Bitcoin and Dogecoin initially did. The actor has not endorsed the altcoin, but he has not condemned it either. 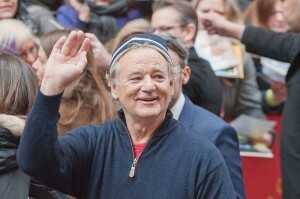 Holzer told the newspaper that after multiple conversations with the man who oversees the Murray Bros. Foundation, a charity founded by Bill Murray and his brothers, the company was optimistic about Murray being involved in Murraycoin in some manner. However, discussions have since slowed and an attempt to speak with Bill Murray about it directly during his golf tournament in March did not lead anywhere, said Holzer. “Currently we have Bill Murray’s indifference, but we’re working on getting him directly involved,” states the company behind Murraycoin. Schmidt told the Post and Courier that Murray’s indifference has hindered both Murraycoin’s growth and investors’ interest. As of the article’s publication, one Murraycoin is worth less than a nickel and all one can do with the coin is say they have one. Holzer, who became interested in digital currency because of how easy and less expensive a global currency could be, told the newspaper that he thought of Bill Murray to represent the project because he has loved the actor’s movies since he was a kid and he knew charity was important to Murray. If Murraycoin does catch on, it would benefit the Murray Bros. Foundation, which, according to the altcoin’s website, has received more than 531,000 Murraycoins in donations. The Post and Courier reports that currently, the Murraycoin can only be bought with Bitcoins at Cryptsy.com, but Schmidt said the company plans to accept US dollars on its website soon. A visit to the Bitcointalk.org thread for MurrayCoin is enlightening.